A new approach to eating which suppresses hunger and empowers readers to control their appetite, lose weight, and regain health. Joseph J. Colella, M.D., F.A.C.S. is an internationally recognized weight-loss expert and robotic/bariatric surgeon. Dr. Colella is one of the few weight-loss experts in the world with his surgical training and experience, allowing for a singular perspective on human anatomy, physiology, and disease processes. 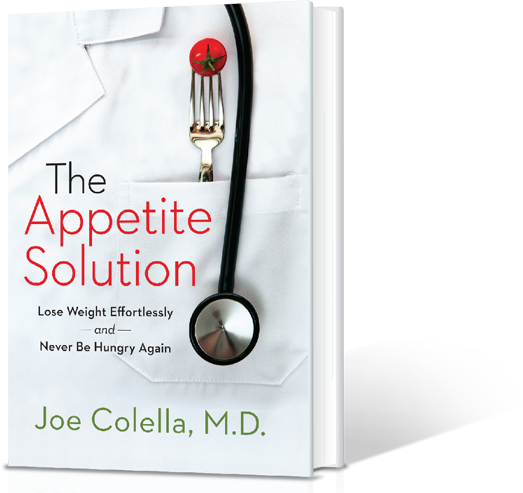 "Colella takes readers beyond the 'do this...not that' mentality of weight loss and reveals the true relationship of food to your body....The Appetite Solution draws upon his 15 years of experience and thousands of patients to untangle the mystery of our appetite." - Dr. Vonda Wright, M.D.